I've recently learned about the upside of stress from watching Kelly McGonigal's TedTalk. I found it interesting to look at stress from another lens – instead of seeing stress as bad, we need to make it our friend. McGonigal says that there's a positive power to stress. When we are stressed, our body starts bringing more glucose to our muscles and it increases oxygen to our brain. This reaction helps us to think more clearly and it can make us stronger. McGonigal also says that "stress can help increase resilience by learning to maintain calm in a crisis." When we change our thinking about stress, we can change our body's response to it. 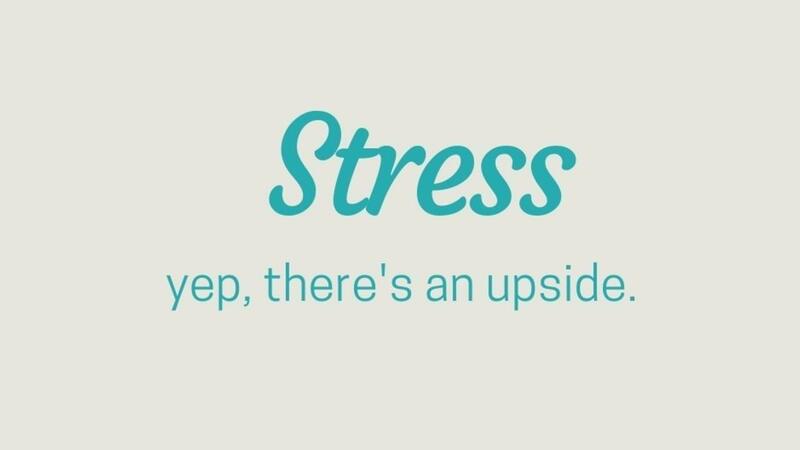 Apparently, how we perceive stress can positively impact our physiology and our health. So, when your body is having a physical reaction to stress, such as constricted breathing, or tension in your neck, etc., remind yourself that this is merely your body doing its job in reaction to stress and let that be a comfort to you. Bottom line: Try to re-configure how you respond to stress. According to McGonigal, when you think about stress more positively you actually live a healthier life for a longer period of time. Sounds like great advice to me! Yep, stress has some redeeming value. It has an upside and it can even be helpful... Who knew?